In Stock - Shipped with 24 hours. 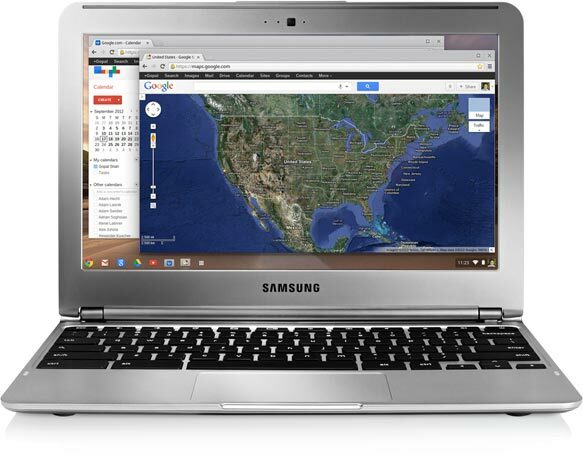 The Samsung Chromebook affordably delivers outstanding and hassle-free performance. Chromebooks are fast to use, and don’t slow down over time. They have built-in security, so you’re protected against viruses and malware. They come with apps for all your everyday needs, and keep your files safely backed up on the cloud. And with free, automatic updates, your Chromebook keeps getting better and better. The Samsung Chromebook is designed to be with you when you’re on the move, without slowing you down. 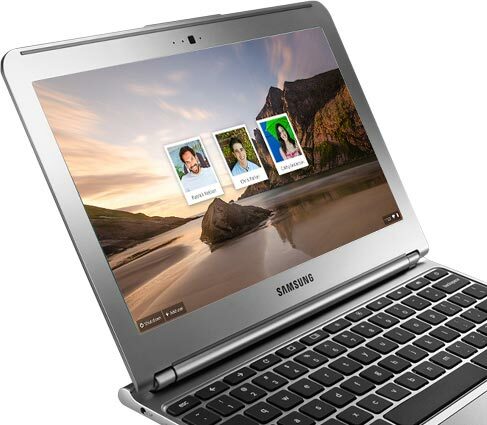 The Samsung Chromebook is the first ARM based Chromebook. Its Dual Core ARM processor cost-effectively delivers greater power efficiency for improved battery performance and exceptional performance in an ultra-slim package. Chromebooks come with leading Google products built-in, like Search, Gmail, YouTube, and Hangouts, so you can work, play, and do whatever you want, right out of the box. And with thousands more apps from the Chrome Web Store, you can do everyday things and amazing things on a Chromebook. 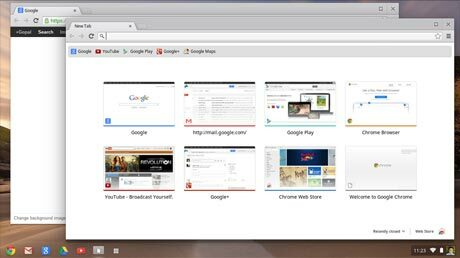 You can explore thousands of apps in the Chrome Web Store, including mail, news, calendar, maps, games and many other tools. Offline apps like Gmail keep you productive even when you're not connected to the web. With Google Drive you can keep your apps, documents, favorites and settings safe and securely accessible from anywhere. You don’t have to bother downloading and installing any applications onto your hard drive. The keyboard is optimized for Chrome with a dedicated search key, a row of web-enabled keys, and a comfortable, full-size layout that doesn’t cramp your fingers, so you can get more done. 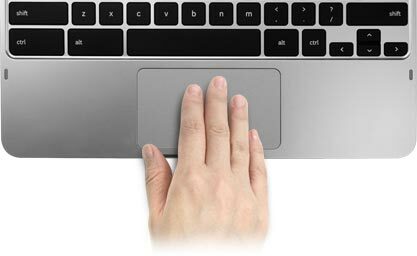 You can enjoy better control using a large multi-touch touchpad. With a glass coating and image sensor it provides a stylish and convenient way to use your Chromebook. Portable and powerful - dual core ARM procesing delivers cost-effective power efficiency for improved battery life and exceptional performance Get stuff done with Google and the web - Chromebooks come with leading Google products built-in, and with thousands more apps available, you can do everyday things and amazing things Full-sized keyboard designed for Chrome - the keyboard is optimised for Chrome with a dedicated search key, a row of web-enabled keys, and a comfortable, full-size layout that doesn’t cramp your fingers, so you can get more done Battery life up to 7 hours.